Congratulations to tour winner Gwendolyn J. and to host winners Notes from a Romantic's Heart and Kin 'N Kabookle. 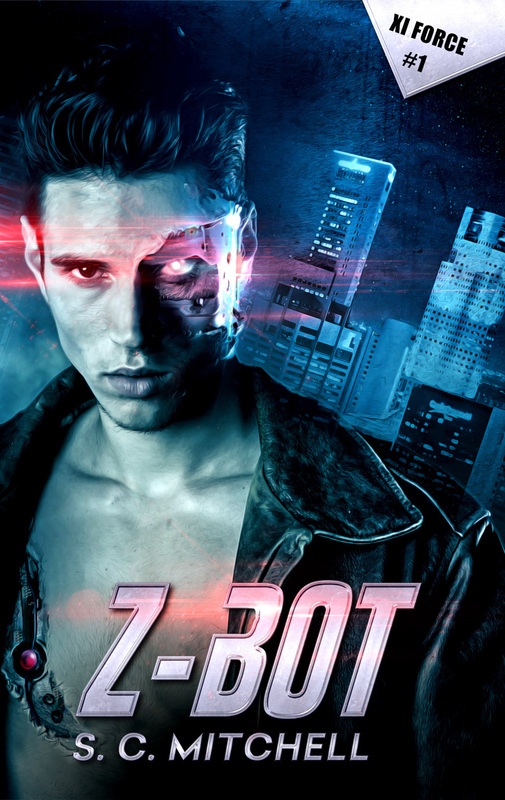 Goddess Fish Promotions is organizing a Virtual REVIEW ONLY Tour for Z-Bot by S. C. Mitchell, a 239 page Science Fiction Romance available now from Soul Mate Publishing. The tour will run every Tuesday for 4 weeks starting on August 28, and the book is available in PDF format. S. C. Mitchell will be awarding a $20 Amazon/BN GC to a randomly drawn winner via rafflecopter during the tour, and a $10 Amazon/BN GC to a randomly drawn host. Additionally, Goddess Fish Productions will be awarding a $5 Amazon GC to a randomly drawn host. Chris Johnson never really started living until he died. Orphaned, fostered, and drifting through life, the twenty-seven year old programmer had no family, little money, and few friends. But he also had no enemies. So, who the hell killed him? After an experimental process brings him back from the dead as a zombiebot, he gets the chance to find out. Heather Logan’s latest process uses nanobots to reanimate a corpse. Half robot, half something raised from the dead, Chris is her first successful resuscitation. Questions abound. What is it? Is it truly alive, a machine, or some kind of zombie-hybrid? But someone wants to steal Heather’s secret process and put her out of the picture permanently. Chris, with his new superpowers, is the only thing standing between Heather and an assassin’s bullet. Is he enough of a hero to save her?